Draft: 2008, Milwaukee Brewers, 1st rd. Married Dana … Twitter: @blawrie13 … his sister, Danielle, was twice named Pac-10 Pitcher of the Year in softball at the University of Washington and pitched for the USSSA Pride of the National Pro Fastball (NPR) league.  Is a product of the Langley Blaze of the British Columbia Premier League … is the highest Canadian position player selected in the First-Year Player Draft (16th overall by Milwaukee in 2008).  Was a member of the Canadian Junior National Team at the 2008 World Junior Baseball Championship … led the tournament with a .469 average, three homers and 16 RBI … was selected to play for Canada at the 2008 Summer Olympics. Was limited to 94 games in his first season with the White Sox due to a strained left hamstring … did not play after 7/21.  Was on-pace to establish a career-high in doubles.  Made 92 starts at second base and two as the DH … recorded a .978 fielding percentage (9 E/408 TC).  His 12 home runs were tied (2014) for the second-most of his career (16 in 2015) … his 30 walks matched his 2013 total for the second-most of his career (33 in 2012).  Hit .284/.310/.493 vs. lefties compared to .239/.310/.394 vs. righties … 10 of his 12 homers were against right-handers.  Batted in the No. 6 spot 68 times, hitting .275/.345/.459 with 10 homers and 31 RBI.  Made his White Sox debut as the starting second baseman on Opening Day at Oakland, going 1-4.  Hit safely in seven consecutive games from 4/9-18, batting .370 (10-27) … recorded his first RBI and multihit effort on 4/11 at Minnesota … doubled on 4/13 at Target Field for his first extra-base hit.  Connected on his first home run with the Sox on 4/16 at Tampa Bay, a two-run shot off the C-ring at Tropicana Field.  Established a career high by homering in three consecutive games from 4/29-5/1 at Baltimore.  Hit a game-tying solo home run in the seventh inning on 4/29 at Baltimore … homered in each of the next two games at Oriole Park … became just the fourth White Sox to hit three homers in a road series vs. the Baltimore/St. Louis Browns franchise (last Jermaine Dye in 2007).  Drew a walk in a career-high five consecutive games from 4/30-5/5 … walked twice on 5/4 vs. Boston, his third straight game with two-plus walks and fourth overall in 2016 … walked multiple times in a game just once in 2015.  Gave the White Sox a 6-3 lead with a three-run home run in the fifth inning on 5/23-1 vs. Cleveland … the homer was his first at U.S. Cellular Field as a member of the Sox.  Began a two-run, game-tying rally in the ninth inning on 6/13 vs. Detroit with a RBI single … the Sox tied the game at 9-9 in the ninth and went on to a 10-9, 12-inning victory.  Hit a game-winning, solo home run off Koji Uehara in the eighth inning on 6/22 at Boston.  Recorded his first career multihomer game, including an inside-the-park home run, on 6/25 vs. Toronto … was the first White Sox to hit a regular and inside-the park homer in the same game since Ron Santo on 6/9/74 vs. Boston (STATS).  Hit just the second inside-the-parker at U.S. Cellular Field by a Sox player, joining Chris Singleton on 9/29/00 vs. Kansas City … the last Sox to hit an inside-the-park homer was Scott Podsednik on 9/12/09 at the Angels.  Compiled a career-high tying, 11-game hitting streak from 6/28-7/9 … batted .381/.400/.524 with three doubles, one home run, five RBI and four runs scored. Batted .260 with a career-high 16 home runs and 60 RBI in his first season with the A's … avoided the disabled list for the first time in five major-league seasons. ... Also recorded career bests in games (149), at-bats (562), hits (146), doubles (29) and extra-base hits (48) and ranked seventh in the American League with 26 infield hits. ... Began the season as the A's third baseman and made 98 of his first 99 starts at third … made 39 of his final 48 starts at second base after Danny Valencia joined the A's on 8/5. ... Batted .282 (87-309) before the All-Star Break, including a .314 (71-226) mark over 62 games from 4/26-7/7 to raise his average from .214 to a season-high .291. ... Hit .293 (46-157) with seven home runs vs. left-handed pitchers and .437 (31-71) when putting the first pitch in play. ... Homered in back-to-back games three times: 5/27-28 vs. the Yankees, 8/26 at Seattle and 8/28 at Arizona and 9/1-2 vs. the Angels. ... Hit his third career grand slam on 6/24 vs. Texas, a firstinning shot off Wandy Rodriguez … collected a career-high four hits on 7/29 at the Dodgers, going 4-5 with a homer and four RBI. ... Ranked second in the AL with a career-high 24 errors … 18 came as a third baseman, which tied for third in the AL. Batted .247 with 12 home runs and 38 RBI in just 70 games in a season shortened by a broken finger and a strained oblique…the home runs were a career high but his batting average was a career low as was his .301 on-base percentage…did not steal a base for the first time in his career…did not groundinto a double play in 259 at bats…hit .263 (52-for-198) with 10 of his 12 home runs and 31 of his 38RBI against right-handed pitching…batted .197 (12-for-61) against left-handers…had a .302 batting average with runners on base compared to .203 with the bases empty…batted .323 with runners in scoring position…had a grand slam and a hit by pitch in two plate appearances with the bases loaded…is 6-for-12 (.500) with two home runs with the bases full in his career…eight of his 12 home runs came inthe sixth inning or later…batted .285 at home compared to .213 on the road…has a .286 (184-for-644) career average at Rogers Centre compared to .244 (161-for-660) on the road…had a .138 batting averageand .194 on-base percentage when leading off an inning…hit .343 in 10 interleague games…now has a.326 (42-for-129) career average against the National League compared to .258 (303-for-1175) against the American League…started 44 games at third base and 26 at second base…committed two errors in63 games overall at third base for a .984 fielding percentage…also had two errors and a .984 fielding percentage in 32 games at second base…the Blue Jays were 17-9 (.654) in games when he started atsecond base…made 30 starts batting seventh, 21 in the six spot, 14 hitting fifth and five batting eighth. Missed 55 games this season over two DL stints (14 games, March 22-April 16 with a left oblique strain and 41 games, May 28-July 13 with a left ankle sprain). Hit .283 (72-254) with 14-2B, 1-3B, 6-HR & 32-RBI after the All-Star break…Prior to the break had a .204 average (30-147) with 4-2B, 2-3B, 5-HR, 14-RBI and a .621 OPS. Named Honda Player of the Month for August by the BBWAA (.346/37-107, 8-2B, 3B, 13 RBI)…Ranked T-5th in the American League for most hits in August (37). Hit .212 or under in three of the five months he played…The only month in which he hit above .245 was August (.346). From July 29th to August 9th, had a career-high 11-game hitting streak ... Hit .400 (16-40) with three doubles, one triple and two home runs in those games. Over a 20 game stretch from July 29 to August 18, hit .400 with four stolen bases, six doubles, one triple and two home runs, hitting safely in 19 of 20 games. In his first full season as a Blue Jay appeared in 125 games... Made 123 starts at 3B and one a DH... Played four innings at SS on May 27 at TEX...Recorded 40 XBH (26-2B, 3-3B, 11HR) and .729 OPS...Hit .319 vs. left-handed pitchers with a .813 OPS... The .319 average was the highest on the club and ranked 13th in the AL...Was more effective at Rogers Centre, posting a .302 average and a .811 OPS as opposed to .248/.656 on the road... HIt .600 (3-5) with the bases load, including one double and eight RBI... From the 7th inning or later, posted a .293 average and now has a .299 career average in those situations as opposed to .268 average from innings 1-6...Through June recorded a .279 average with eight home runs and a .778 OPS... After that batted just .244 with three home runs and a .654 OPS...July 18 at NYY fell into the camera bay attempting a catch and suffered a leg contusion keeping him out of the lineup for two days... Suffered a right oblique strain on Aug. 3 at OAK and did not return until Sept. 7 at BOS... May 15 vs. TB had an altercation with an umpire (threw helmut that hit umpire) that resulted in a four game suspension...On May 1 vs. TEX hit a walk-off home run in the 9th inning to give the club an 8-7 victory...Had eight, three-hit games and now has 10 in his career... Posted a nine game hitting streak from June 10-19 matching his career high...On April 22, stole home on the front end of a double steal with C J.P. Arencibia in the 8th inning... It marked just the 16th time in franchise history that a Blue Jays player has stolen home and the 14th time as part of a double steal. Had his contract purchased on August 5th and appeared in 43 games in his rookie season... RUMBLINGS FROM THE WEST: Began the season in Las Vegas (AAA) with the 51s... Appeared in 69 games at the AAA level, posting a .353 average with 24 doubles, 18 home runs, 13 stolen bases and 61 RBI... Led all Blue Jays minor leaguers in extra base hits at the time of his promotion and led the PCL with a .661 SLG and 1.076 OPS... HONOURS: Was named the #1 prospect by Baseball America in the Pacific Coast League following the 2011 season... Earned Player-of-the-Week honours for his efforts from May 16-22... Had five multi-hit games in six contests... TIME HAS COME: Aug. 5 at BAL made his ML debut, becoming the 15th Canadian to play for the Blue Jays... Went 2-4 with an RBI, collecting his first hit with a single off Tommy Hunter in his first at-bat... Hit his first home run on Aug. 7 at BAL off Alfredo Simon... GRAND DAY: On Aug. 10 vs. OAK hit his first career grand slam, becoming the 2nd Canadian born player to do so as a Blue Jay along with Matt Stairs... Is the youngest player to hit a grand slam for the Blue Jays since Junior Felix on June 2, 1989... BIG START: Posted six home runs in August, the 2nd most from a Toronto rookie in their first full month in the Majors... Only Carlos Delgado with eight in April of 1994 had more... From Aug. 24-Sept. 1 enjoyed a career high nine game hitting streak, posting a .389 average with 2-2B, 3-3B, 4HR, and 10RBI over that span... WALK 'EM OFF: Sept. 5 vs. BOS added his first career walk-off, with a home run in the 11th inning, breaking a 0-0 tie... DISABLED: Was disabled from June 1 through July 18 in Las Vegas after suffering a broken left hand from an HBP... Was disabled for the second time on Sept. 21 with a fractured right middle finger and did not appear in a game for the balance of the season... At the time of being disabled led all rookies in the Major Leagues in triples (4), slugging (.580), OPS (.953) and was T-1st in home runs (9) and extra base hits (21) since his debut on Aug. 5... SOME NICE COMPANY: Joined only four other active players to have hit at least nine home runs with 25 RBI in their first 35 career games (A. Pujols - 12/39, C. Davis - 11/26, A. Dunn - 11/31, J. Francoeur - 10/30)... MR. CONSISTENT: Batted .294 at home and .292 on the road while hitting .295 vs. left-handers and .292 vs. right-handers... PRIME TIME: In the seventh inning or later, posted a .319 average with 4-2B, 2-3B and 3HR in only 47 at-bats. Spent all of 2010 at Huntsville (AA) again playing exclusively at second base... LEAGUE LEADER: Led the Southern League in hits (158), triples (16), runs (90) and extra base hits (60), despite being the second youngest regular in the league... Hit left-handed pitchers at a .336 clip... SUMMER HEAT: In the month of June batted .360 with 12doubles, three triples, two home runs for a .985 OPS... ELITE COMPANY: Earned a Post-Season All-Star selection and onJune 23 was selected to the 2010 Futures Games, his second selection, where he led off for the World Team, going 0-3. Began his career with the Wisconsin Timber Rattlers of the Midwest League (A) where he played exclusively at second base... Hit his first home run on April 10, his second professional game...Posted 36 extra base hits in only 105 games at Wisconsin... Was selected to play for the World Team at the 2009 MLB All-Star Futures Game at Busch Stadium in St. Louis... Was promoted to the Double-A Huntsville Stars in mid-August... Played 13 games at second base. 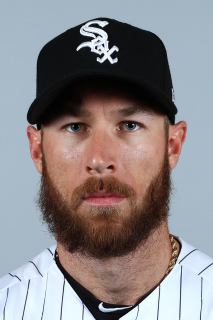 March 3, 2017 Chicago White Sox released 2B Brett Lawrie. October 3, 2016 Chicago White Sox activated 2B Brett Lawrie from the 15-day disabled list. August 13, 2016 Chicago White Sox sent 2B Brett Lawrie on a rehab assignment to Birmingham Barons. July 27, 2016 Chicago White Sox placed 2B Brett Lawrie on the 15-day disabled list retroactive to July 22, 2016. Strained left hamstring. December 9, 2015 Oakland Athletics traded 2B Brett Lawrie to Chicago White Sox for RHP J.B. Wendelken and LHP Zack Erwin. November 1, 2014 Toronto Blue Jays activated 3B Brett Lawrie from the 60-day disabled list. September 2, 2014 Toronto Blue Jays transferred 3B Brett Lawrie from the 15-day disabled list to the 60-day disabled list. August 5, 2014 Toronto Blue Jays activated 3B Brett Lawrie from the 15-day disabled list. August 1, 2014 Toronto Blue Jays sent 3B Brett Lawrie on a rehab assignment to Dunedin Blue Jays. July 13, 2013 Toronto Blue Jays activated 3B Brett Lawrie from the 15-day disabled list. July 9, 2013 Toronto Blue Jays sent 3B Brett Lawrie on a rehab assignment to Buffalo Bisons. July 6, 2013 Toronto Blue Jays sent 3B Brett Lawrie on a rehab assignment to New Hampshire Fisher Cats. July 4, 2013 Toronto Blue Jays sent 3B Brett Lawrie on a rehab assignment to Lansing Lugnuts. July 2, 2013 Toronto Blue Jays sent 3B Brett Lawrie on a rehab assignment to GCL Blue Jays. June 26, 2013 Toronto Blue Jays sent 3B Brett Lawrie on a rehab assignment to Dunedin Blue Jays. May 29, 2013 Toronto Blue Jays placed 3B Brett Lawrie on the 15-day disabled list retroactive to May 28, 2013. Left ankle sprain. April 16, 2013 Toronto Blue Jays activated 3B Brett Lawrie from the 15-day disabled list. April 14, 2013 Toronto Blue Jays sent 3B Brett Lawrie on a rehab assignment to Dunedin Blue Jays. March 31, 2013 Toronto Blue Jays placed 3B Brett Lawrie on the 15-day disabled list retroactive to March 22, 2013. Lleft rib cage injury. September 7, 2012 Toronto Blue Jays activated 3B Brett Lawrie from the 15-day disabled list. September 6, 2012 Dunedin Blue Jays sent 3B Brett Lawrie on a rehab assignment to Lansing Lugnuts. September 5, 2012 3B Brett Lawrie assigned to Dunedin Blue Jays. August 19, 2012 GCL Blue Jays sent 3B Brett Lawrie on a rehab assignment to Dunedin Blue Jays. August 18, 2012 3B Brett Lawrie assigned to GCL Blue Jays. August 9, 2012 Toronto Blue Jays placed 3B Brett Lawrie on the 15-day disabled list retroactive to August 4, 2012. Strained right oblique. September 29, 2011 Toronto Blue Jays activated 3B Brett Lawrie from the 15-day disabled list. September 22, 2011 Toronto Blue Jays placed 3B Brett Lawrie on the 15-day disabled list. Fractured right middle finger. August 5, 2011 Toronto Blue Jays selected the contract of Brett Lawrie from Las Vegas 51s. July 19, 2011 Brett Lawrie assigned to Las Vegas 51s from Dunedin Blue Jays. July 14, 2011 Brett Lawrie assigned to Dunedin Blue Jays from Las Vegas 51s. June 5, 2011 Brett Lawrie roster status changed by Las Vegas 51s. April 7, 2011 3B Brett Lawrie assigned to Las Vegas 51s. January 7, 2011 Toronto Blue Jays invited non-roster 2B Brett Lawrie to spring training. December 6, 2010 Toronto Blue Jays traded RHP Shaun Marcum to Milwaukee Brewers for Brett Lawrie. December 6, 2010 Huntsville Stars traded 2B Brett Lawrie to New Hampshire Fisher Cats. March 6, 2010 2B Brett Lawrie assigned to Milwaukee Brewers. August 18, 2009 Brett Lawrie assigned to Huntsville Stars from Wisconsin Timber Rattlers. June 15, 2009 Brett Lawrie roster status changed by Wisconsin Timber Rattlers. June 8, 2009 Wisconsin Timber Rattlers placed 2B Brett Lawrie on the 7-day disabled list.